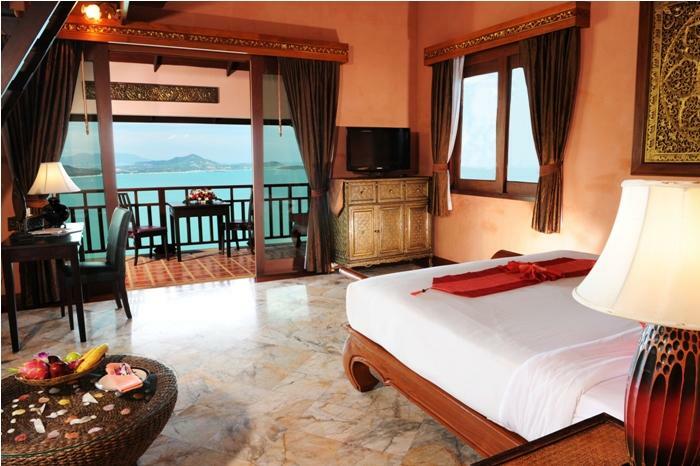 If you're looking for a conveniently located hotel in Samui, look no further than Samui Jasmine Resort. From here, guests can enjoy easy access to all that the lively city has to offer and the Samui International Airport is only 13 km away. All 35 guestrooms feature luxurious soaker bathtubs. An outdoor infinity pool with uninterrupted views of the Gulf of Thailandm is available. 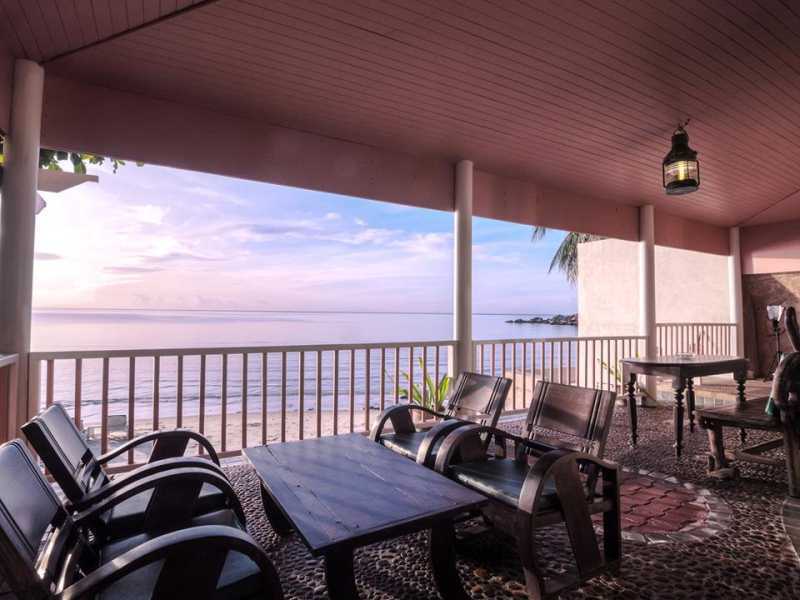 This modern hotel is in the vicinity of major city attractions near this hotel include Will Wait, Hin Ta Hin Tai, the Beach Republic Club, Wat Lamai Folklore Museum, and the Samui Aquarium & Tiger Zoo. Superb facilities and an excellent location make the Samui Jasmine Resort the perfect base from which to enjoy your stay in Samui. Samui Jasmine Resort in Samui! This luxury villa resort is perched on a unique vantage point between Chaweng and Lamai beaches, 7.1 km from Samui International Airport. The hotel provides 10 rooms, each equipped with free wireless and LAN internet access, in your own private villa with stunning views of the island, lush gardens, and richly coloured decor. The Sandalwood Luxury Villas strive to make every guests' experience an unforgettable one with numerous amenities. Recreational activities available include an outdoor infinity pool, hot tub, spa with massages, steam room, a beautiful garden, and a golf course within 3 km. Nearby attractions to this hotel include Will Wait, Hin Ta Hin Yai, the Beach Republic Club, and the Thai Boxing Stadium. 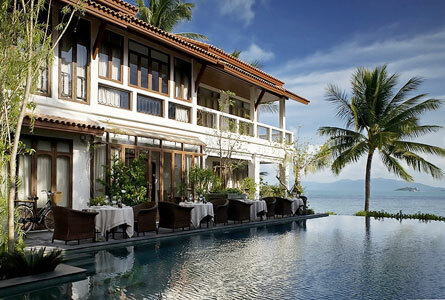 Sandalwood Luxury Villa's in Samui! When visiting Samui, you'll feel right at home at The scent Hotel which offers quality accommodation and great service 2 km from the Samui International Airport and 5 km from the city center. Guests can choose from 13 rooms, decorated in welcoming, neutral colours which are equipped with free wireless and LAN internet access. The Scent Hotel services include a poolside bar, restaurant, room service, coffee shop, airport transfer, concierge, babysitting, tours, shuttle service, and laundry service. The recreational facilities at the hotel include a private beach, an outdoor pool, spa with massages, steam room, and non-motorized water sports. Nearby attractions include the Samui Crocodile Farm, the Big C, Big Buddha, and the Wat Nuan Naram. 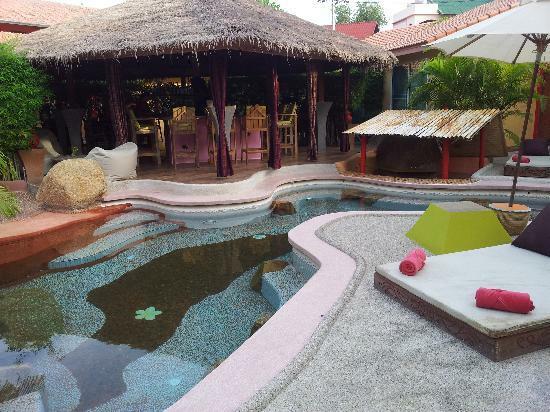 The Scent Hotel in Samui! 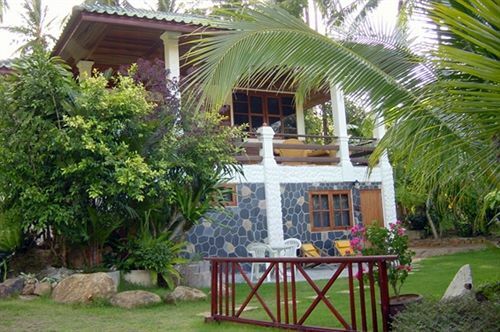 Built in 2013, Eden Beach bungalows is a distinct addition to Samui just steps away from the city center, and only 5 km from the Samui International Airport. All guest accommodation feature thoughtful amenities to ensure an unparalleled sense of comfort, with 20 rooms to choose from all equipped with free wireless internet access, satellite/cable TV, air conditioning, and stylish ensuite. The recreational facilities including an outdoor pool, private beach, kids' pool, hot tub, massages, a garden, and golf course within 3 km ensure guests have a variety of activities to choose from. Nearby attractions include the Lompraya Pier, Santiburi Golf Resort, Samui Crocodile Farm, the Big C, Big Buddha, and the Wat Nuan Naram. Eden Beach Bungalows in Samui! 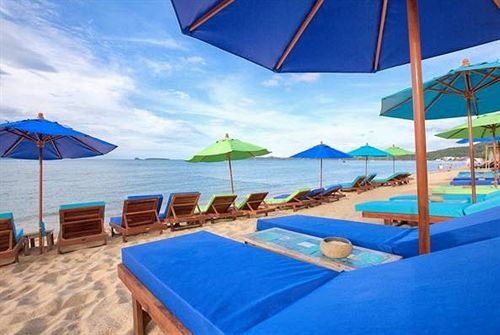 Whether you're travelling as a tourist or on business, Sans Souci Samui is a great choice for accommodation, 3.9 km from Samui International Airport. The hotel features 22 beautifully appointed guest rooms, each including satellite/cable TV, free LAN and wireless internet access, air conditioning, a balcony/terrace, and warm, wooden decor. 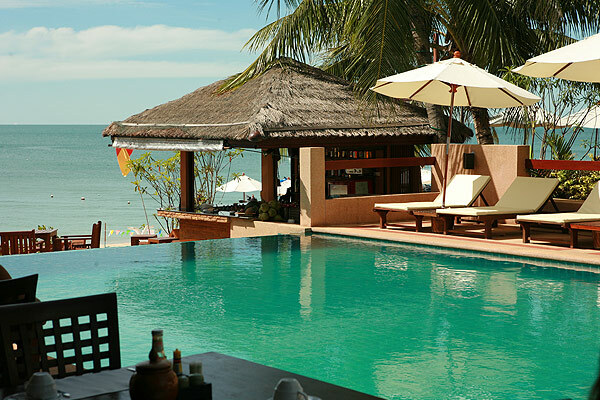 The Sana Souci Samui hotel provides room service, a restaurant, tours, a smoking area, and airport transfer to ensure each guest enjoys their stay. A private beach, massage, and garden complete the package. 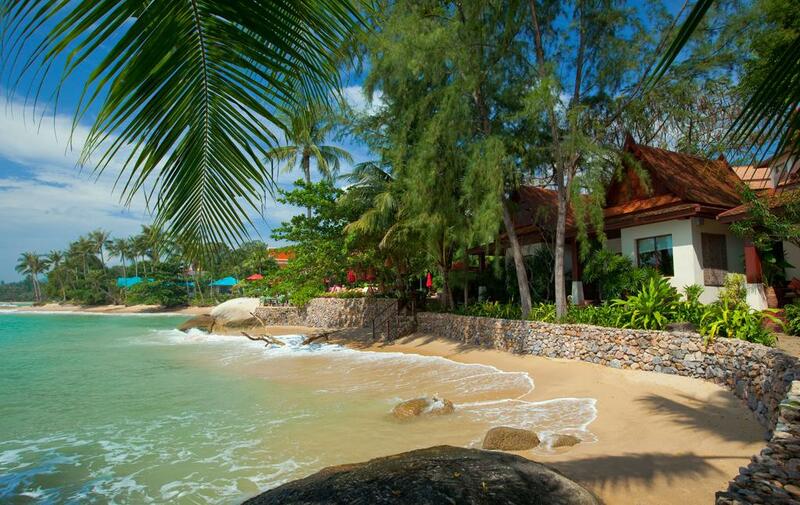 Nearby attractions include the Thai Boxing Stadium, Pru Chaweng, Tropical Murphy's, The Samui Institute of Thai Culinary Arts, and Black Jack Pub. Sans Souci Samui Hotel in Samui! The Elements Boutique Resort & Spa Hideaway is in the Taling Ngam area of Samui, 19.5 km from Samui International Airport and the perfect place to escape for your holiday. All guest accommodations feature natural colours and materials as well as thoughtful amenities to ensure a sense of comfort in their 33 room. The fitness center, outdoor pool, motorized and non-motorized sports, kids' pool, spa, massages, sauna, steam room, and hot tub also are available for all hotel guests. Visitors can enjoy the nearby attractions to Elements including both Na Muang Waterfalls I and II, Koh Samui Butterfly Garden, and Lami Walking Street. Elements Boutique Resort Spa Hideaway in Samui! For travelers who want to take in the sights and sounds of Samui, Pandora Lifestyle Hotel in the perfect choice, just 1.3 km from Samui International Airport and free LAN and wireless internet access and close to Samui Night Plaza. 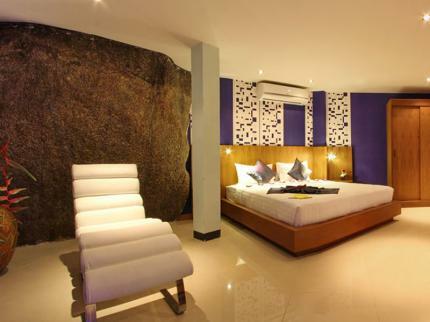 Pandora Lifestyle Hotel is home to 9 colourful, inviting bedrooms, all tastefully furnished to provide comforts. Pandora Lifestyle features a number of amenities to ensure their guests enjoy their stay including room service, a poolside bar, coffee shop, airport transfer, business center, tours, concierge, and babysitting. Nearby attractions to the Pandora Lifestyle Hotel include Prego, Christy's Cabaret, Bar Solo, and Samui Night Plaza. Pandora Lifestyle Hotel in Samui!